Barong masks are some of the most important cultural artifacts in Bali. The Barong is a mythical beast that purifies and protects the village. 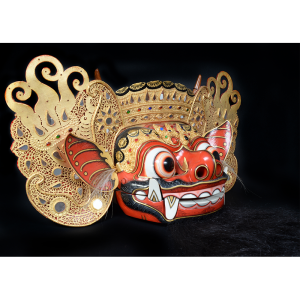 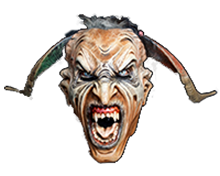 The mask itself is a sacred object of worship and usually kept in a temple. Barong masks are taken out to perform dances and ceremonies on major holidays, most notably the Kunti Sraya, or Barong Dance. 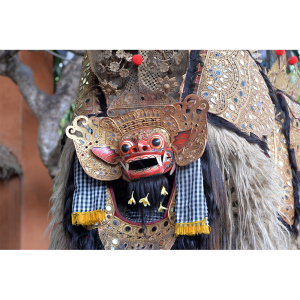 That dance recreates a contest between good (represented by the Barong and its followers) and evil (represented by the goddess of death, Rangda, and her followers). 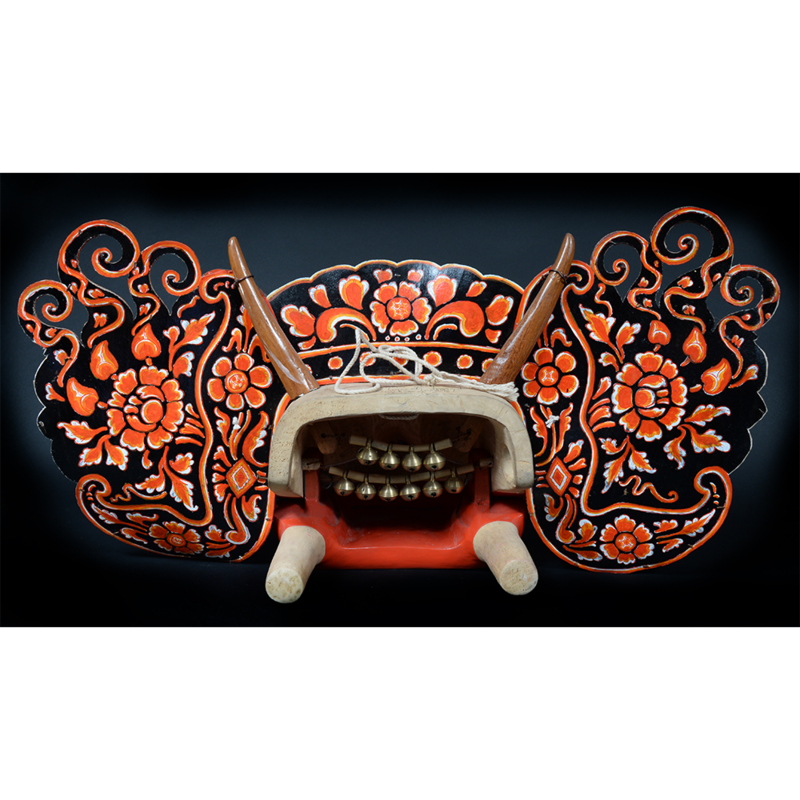 Barongs come in many types, depending on the type of animal represented. 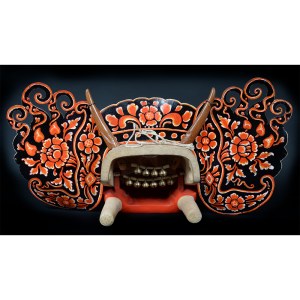 Barongs may take the form of a boar, bull or deer, for example. 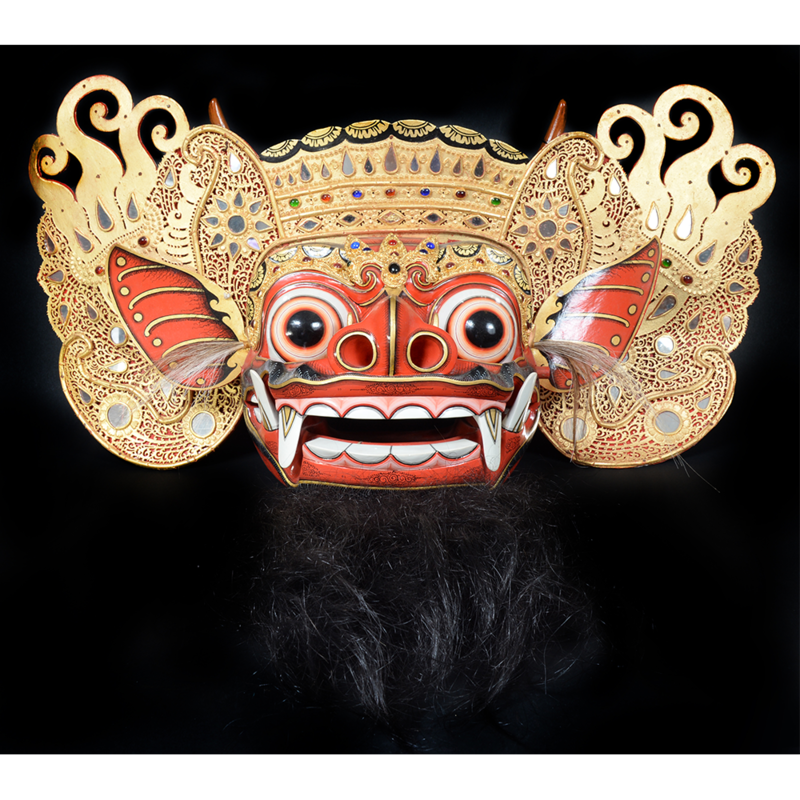 This mask, the barong ket, represents a mythical beast combining attributes of the tiger, ox, and some unique attributes. 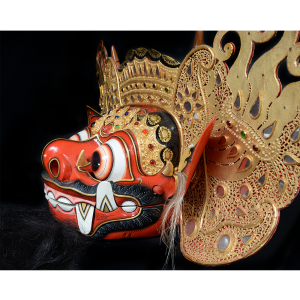 It is sometimes erroneously referred to as a lion (there are no wild lions in Indonesia, and never have been any, so the Balinese would not have been able to use one as a template for their masks). 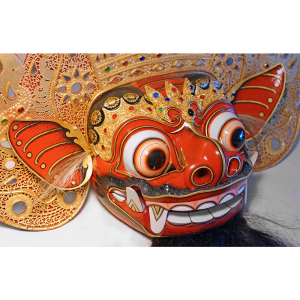 The ket is the chief of all barongs and acts as a potent protector against the harmful influence of ghosts on the village. This specific barong ket was the last one made by the master craftsman, I. Wayan Tangguh of Singapadu, before he died. 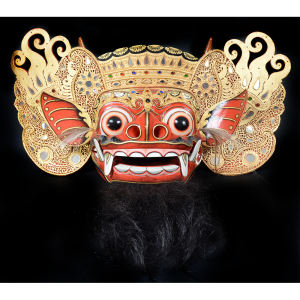 For more on Balinese masks, see Judy Slattum, Masks of Bali: Spirits of an Ancient Drama (San Francisco: Chronicle Books, 1992). 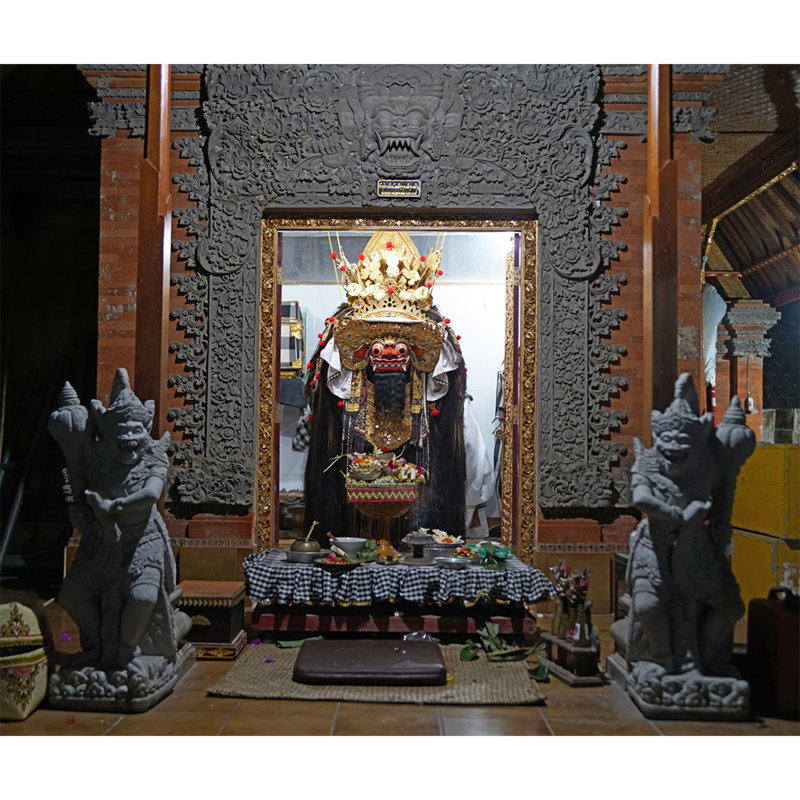 Video of a Barong Ceremony in Bali, Indonesia, 2018.